After 110 years of faithful service, it was time to say good-bye to the last relic of Mow Cop's once busy station. However all is not lost. The signal box was due for demolition on May 19th at 4:00am that was until a local man and long time friend of mine Craig Bounford got wind of it. Craig approached Railtrack and asked if he could preserve the box as part of our unique village heritage. Railtrack agreed and gave Craig until October 2002 to come up with a safe plan for removing the box. Things were soon to change. A few days after the initial agreement Railtrack contacted Craig and told him that they were to demolish the box and replace it with a new unmanned crossing point the following week. 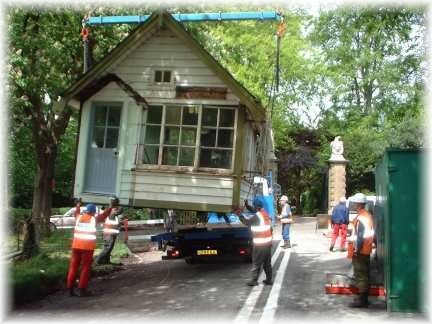 Craig quickly arranged for a local haulage firm to lift the box, this idea was refused by Railtrack on safety grounds. Craig persisted in his pursuit of saving the box and managed to persuade Railtrack that his was a just cause. Railtrack eventually agreed to have the box removed and even stumped up the cash, whether or not that was down to the fact that the story was being covered by Signal Radio (no pun intended), Radio Stoke and Granada Television I will let you decide. 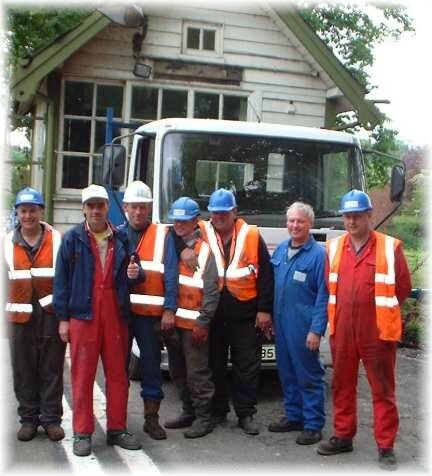 However stump for a 29 tonne crane and a team of workers they did, so they can be joint heroes of this story. The movement of the signalbox was a difficult process for Craig and the crew. 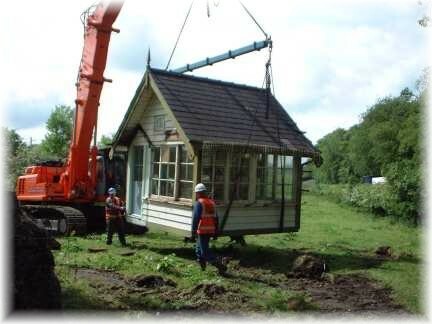 The signalbox needed to be raised and placed on a truck, without any structural damage. In addition, the moving of the building ran the risk of harm to the crew that was moving the signalbox. The danger that was possible in moving a building would raise the concerns of a Personal Injury Lawyer Los Angeles and other professionals. Fortunately, the move was successful and now the signalbox is safely in storage. Craig now has a signal box in storage that he will try and preserve. He wishes to put it in his garden in Mow Cop, so that it can still be seen and visited, for now though it remains hidden away. Well done Craig and thank you Railtrack for keeping one more piece of our heritage safe.